The Plastic Fantastic team was given our second pair of shoes about a month and a half ago – approach shoes this time! We all received a slightly different pair of Cruzers from Evolv. I tested out the new Cruzer Psych, which is similar to the original Cruzer, but constructed on a trail running base, with a higher heel. If you read my review of the LV Shaman you’ll know I’m pretty dedicated when it comes to reviewing gear, and I definitely put this shoe through its paces! I wore the Psych pretty much every time I stepped outside the past month and a half. 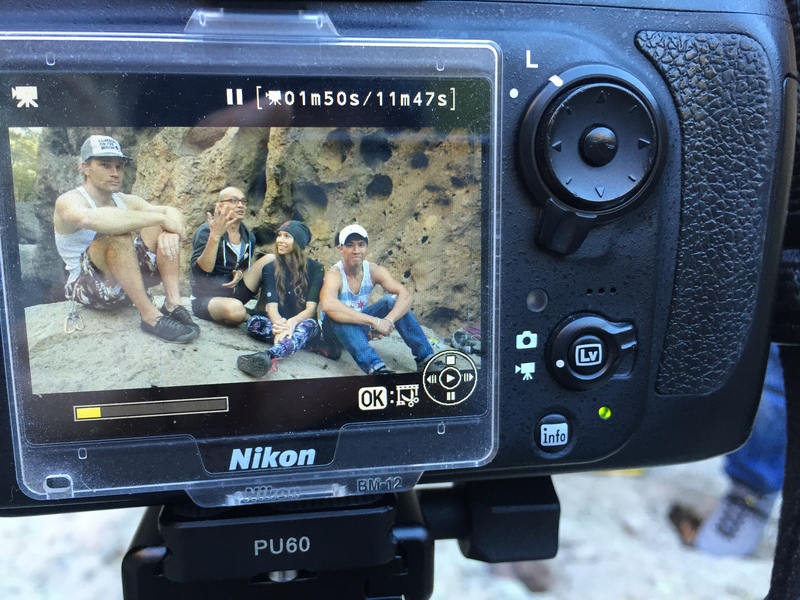 This included the usual climbing approaches, as well as a multi pitch day at Tahquitz, climbing Half Dome, summiting Mt. Whitney, and multiple hike and flys with my paraglider in tow. Other than a few cosmetic scratches and small tears in the fabric, the Psych’s held up really well to the battering I gave them and overall I’d have to say I’m pretty happy with these shoes! 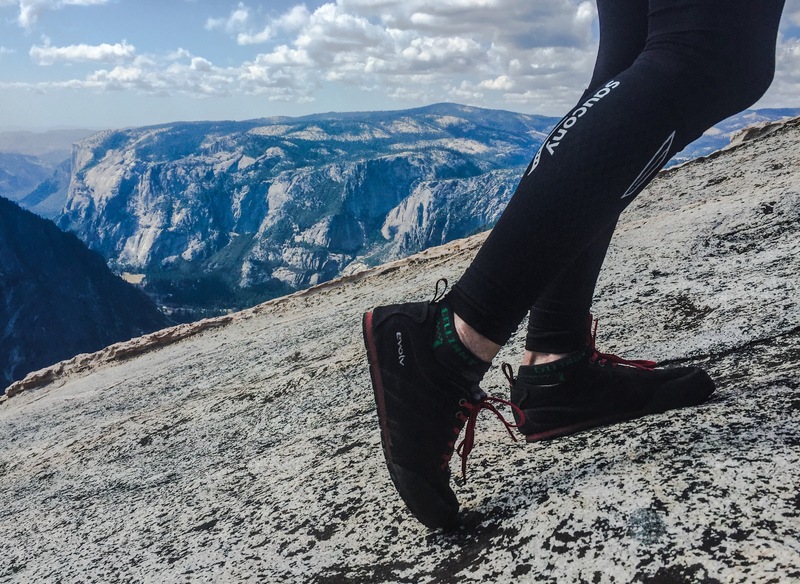 The Evolv rubber is always great and I felt very comfortable taking this shoe on slab and over rocky terrain, knowing the rubber would stick. Though I wouldn’t climb anything too difficult in this shoe, as it has a rounded toe and isn’t the best at finding small foot holds, I did lead routes up to 5.10D in the Psych and felt pretty solid. 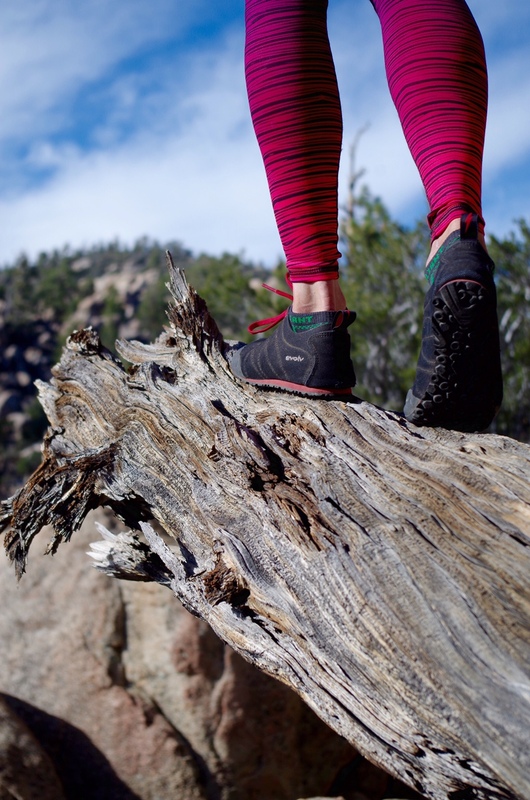 In addition to the sturdy rubber and thick soles, the Psych is also extremely light, making it the perfect shoe for multi-pitch trad days where you have long approaches/descents and need a light hiking shoe to bring up the wall with you. I think my only concern with the Psych was its sizing. I tried the shoe in my normal street size and found it to be a bit too large, especially width wise. My foot always felt like it was swimming inside the shoe. I know Evolv is coming out with low volume versions of all the Cruzers in the next few months though, so I believe this issue is going to be resolved. One other thing I would like to mention is that the Cruzer is a low cut shoe. For me this was completely fine and I successfully hiked Whitney and Half Dome with no issue, but for anybody who prefers to have more ankle support while hiking, this probably isn’t the best shoe for you. Other than that, I think the Cruzer Psych is a great, reliable shoe and I would positively recommend it to anyone looking for a comfortable hiking or approach shoe!